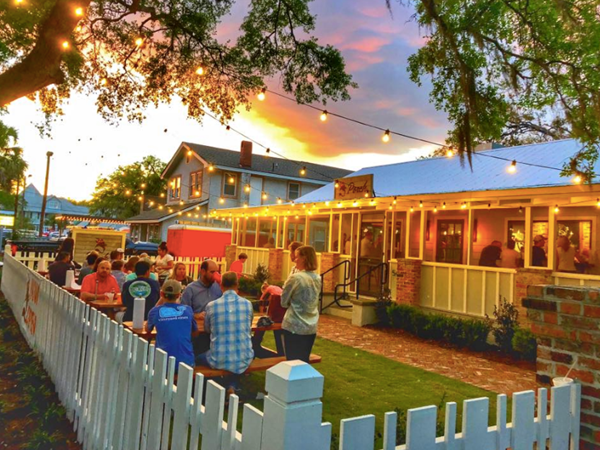 Palmer's Village Cafe is In the Village on St. Simons Island, about two blocks from the sea. Parking is free and plentiful in the Village. We welcome reservations for dinner Thursdays through Saturday evenings. Mornings and lunch, guaranteed worth the wait. Daily 7:30-2:00, including breakfast anytime until the break. Don't forget to ask for the house tomato jam. That sausage? Oh, my. New Restaurant- Porch - opened just blocks from Palmer's. 549 Ocean Blvd. Open daily 11:00 - 9:00 try Nashville Hot Chicken, Fresh Wild Georgia Shrimp and Farm Raised Catfish. © 2019 Palmer's Village Cafe. All rights reserved. View site map. Palmer's Village Cafe website is served by Flavor Plate.